> SILVERWARE>Silver salt shaker, late nineteenth century. Silver salt shaker, late nineteenth century. 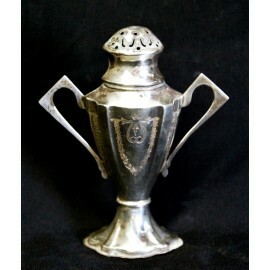 Silver salt shaker, late nineteenth century, british punches in the base. MEASURES: 9 x 7,5 x 3,5 cm. weight: 30 gr.